Private view: 6.30 pm 16th May. He used photography as tool: by taking pictures of view from his window he saw the rooftops anew each day. He took multiple photographs of friends and random people to assemble visual composites in his mind that he could use to create characters in his writing. He made photographic montages from pictures of his family, partners and friends, photographed them, then re-arranged them: each montage having a different emotional value according to the placement and dominance of the different elements. An edition of 23* sets of three prints as below has specially been produced to mark the exhibition. 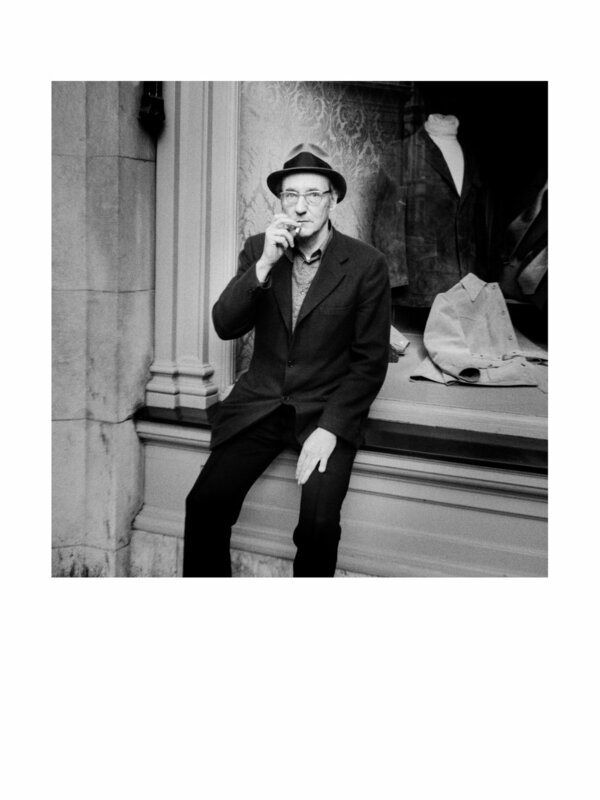 Each is a photograph of William S. Burroughs taken by Miles in Duke Street, St. James in London. The 12" x 16" C type Giclee prints are made on archival paper and have been printed from Miles' original negatives.